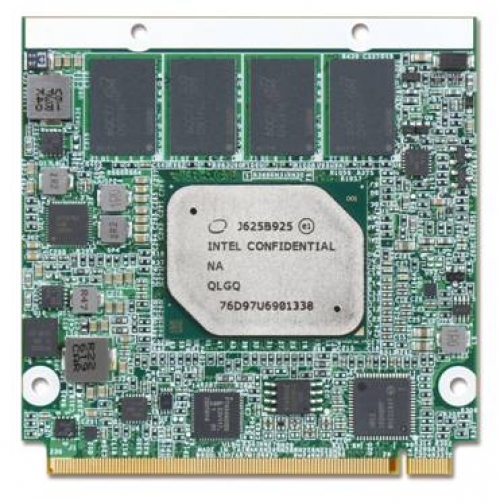 ﻿ PORTWELL RELEASES NEW QSEVEN 2.1 MODULE WITH INTEL® ATOM™ PROCESSOR E3900 SERIES, PENTIUM® AND CELERON® PROCESSORS - Portwell, Inc.
Portwell, Inc. (http://www.portwell.com.tw) a world-leading Industrial PC (IPC) company for single board computers (SBC), embedded computer modules, and custom IPC design and manufacturing services, today announced its newest Qseven 2.1 module with x86 based processor. The model series named as PQ7-M108 (70x70mm), is based on the latest Intel® 14nm Atom™, Celeron® and Pentium® processors (codenamed Apollo Lake). The new Intel® Atom™ E3900 series embedded SoC integrates the Intel® Gen 9 graphics with triple display support in high resolution, as well as four vector image processing units, and Intel’s Time Coordinated Computing (TCC) Technology, which is said to coordinate and synchronize peripherals and networks of connected devices to within a microsecond. Other than graphic performance, the new PQ7-M108 Qseven 2.1 modules are designed with the latest mobile series memory LPDDR4 at 2400MT/s speed which enhances field application in, for example, smart building control and Human Machine Interface (HMI) device. PQ7-M108 is designed with Intel® Atom™/ Pentium®/ Celeron® processors ("APOLLO LAKE") which featured with higher graphic performance and wider memory bandwidth than the previous platform.